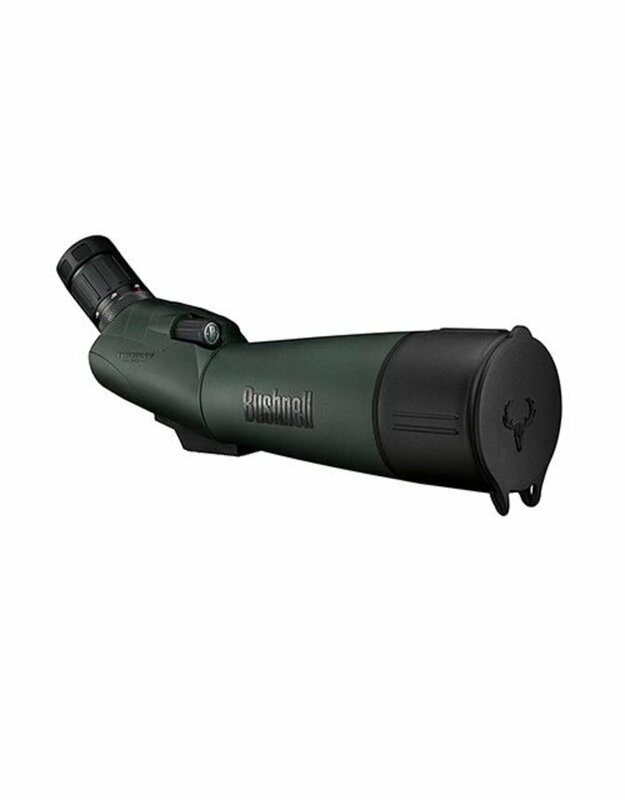 The straight-through viewing Trophy Xtreme 20-60x65 Spotting Scope from Bushnell features multi-coated optics that prevent internal ghosting as well as reflections, providing clear and bright images. These coatings are highly reflective and minimize the loss of light while boosting contrast and color fidelity. 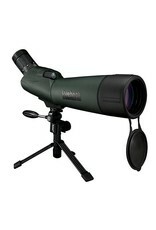 To maximize light transmission and further ensure sharpness, this spotting scope features BAK4 Porro prisms. 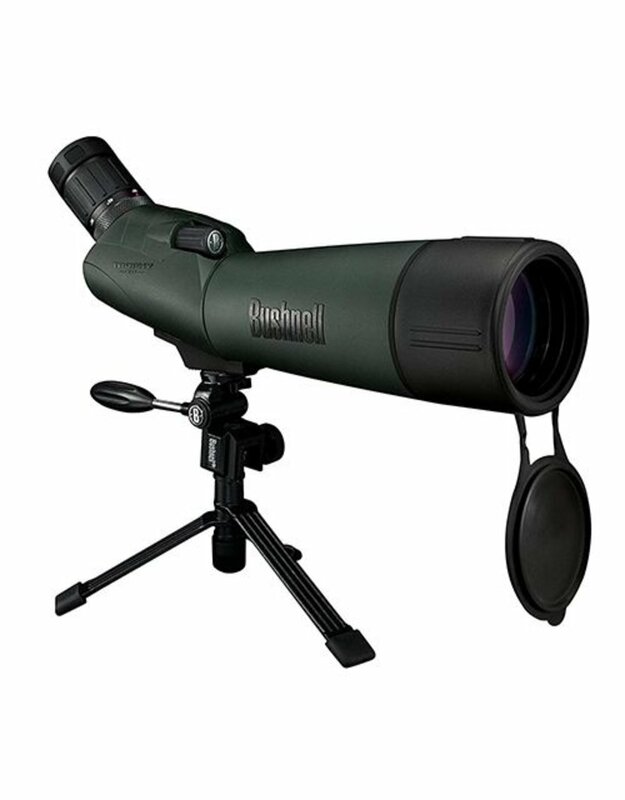 The highly refractive BAK4 Porro prisms minimize spherical aberrations for increased edge-to-edge sharpness and help improve depth of view. 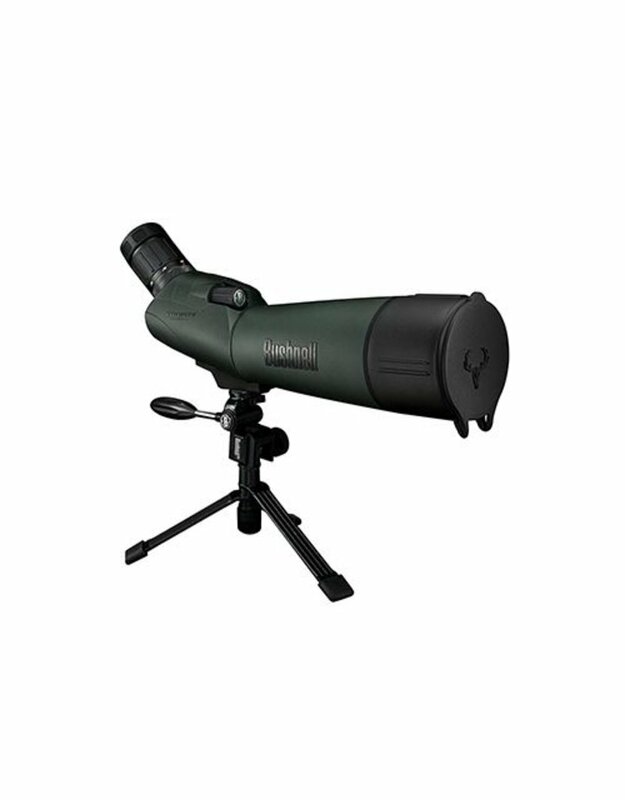 This combination of coatings and optics creates a spotting scope that produces bright, clear, highly contrasted images with accurate color transmission.This Trophy Xtreme 20-60x65 Spotting Scope's lightweight rubber-armored body is impact resistant and nitrogen filled to be both water and fogproof. Its tripod mounting shoe accepts a 1/4"-20 mounting bolt while a retractable lens shade with a built-in cap keeps the Sun or rain off the objective lens.